One highly preferred idea for today’s American home is to create a primitive kitchen theme. Even if you’re in the middle of a fast-paced, urban setting, you can still have the privilege of enjoying a country-themed scenario right in your kitchen. Nowadays, there are numerous ways how you can effectively recreate a primitive, rustic look in your home, particularly in one of the most important spaces you frequent. There are essential components that make a kitchen primitive, especially accessories such as pantry cakes and other fake food items. It is easy to incorporate different elements in order to have a primitive kitchen aesthetic for contemporary homes. If you want to revamp your kitchen and transform it into a primitive-themed masterpiece, there are various elements you can blend and put together, and if you're already prim crazy, you may already have a stash of primitive odds and ends that will help in creating a kitchen you'll want to live in. One of the best accents to your rustic kitchen inspiration is dishware or soap bowls made of dark wood or enamel materials. These pieces will surely transport you to the country setting where everything is simple and basic. There are classic enamelware sets or collections you can find online or have the time to look for these items in flea markets and you will surely discover a treasure. Country-themed kitchens will also have a better boost with the perfect mason jar sconces complete with candles. These are wall-mounted decorative items that could provide a different twist, especially to your lighting. If you are not into the conventional candle, you can always purchase battery operated ones that are reusable and safe at the same time. Or if you want to really go back to the basic, there are scented candles that would perfectly complement rustic wooden or rusty metal sconce. Decorate your Old Thyme-inspired kitchen with a metal shoo fly screen. You can definitely use these for your food or simply stage the space with it. It could ideally match fake food items, such as a fake pie or pantry cake for that unique and eye-catching finish. Faux cakes are not just visually enticing, but these could also be scented items to give your kitchen an instantly inviting and welcoming place with the delectable smell included. These ornaments for your wall are not only for an aesthetic revamp. They're also a functional and practical choice since it can store and hold important items such as your bills, magazines, and other itsy bitsy whatnots. Most wire wall baskets have customized worn designs and finishes to bring out that primmy rustic ambiance. Find grungy and aged primitive shelf pillows and burlaps to accentuate your kitchen with. These are items perfect for display for an effective shortcut to the countryside. There are also burlap curtains and dish towels available for decorative display. A huge and hanging wrought-iron pot rack is one of the basic elements to showcase a primitive, country-style kitchen. Make sure you complement this design with gleaming copper pots that are dangling from the ceiling to give it an ideally close resemblance to the farmhouse scene. You can repurpose your stuffs to make a great pot holder or simply use driftwood for a woodsy themed counterpart to the famous wrought-iron material. With this type of decoration, your imagination will guide you into having an effectively designed country kitchen without cashing out on expensive and rustic-inspired pot racks. 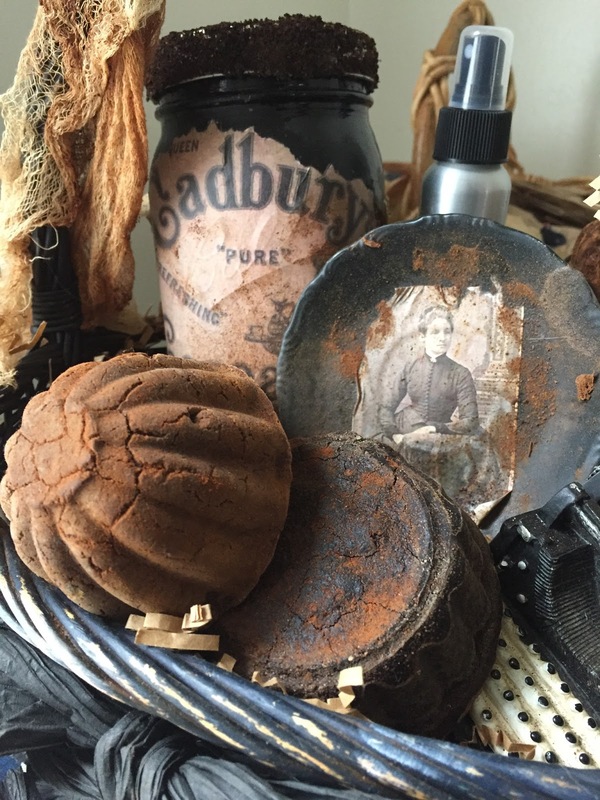 An added element would be rusty tin or an aged tin to bring the aged aesthetic to the table. 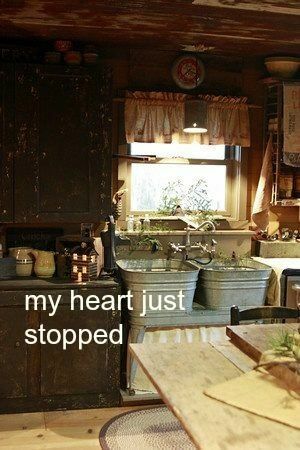 Galvanized, aged tin in the form of a lazy susan, candle holders, molds, and buckets make a super addition to any primitive style. Try adding an old metal kitchen scale or a few old cheese graters paired with a few wooden rolling pins and cutting boards to create an interesting aged display. 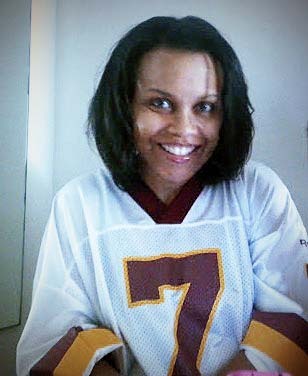 Ebay is a great resource for finding these and other prim trinkets. a part of a basket that I made for my shop. 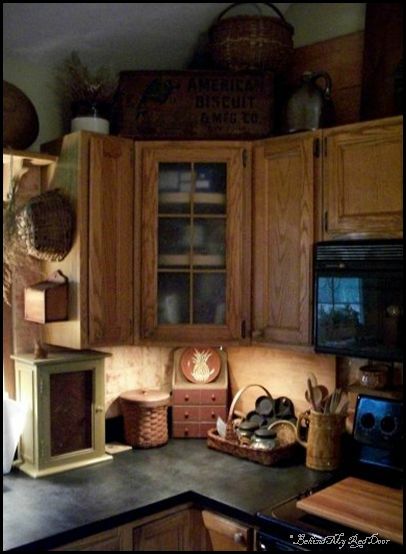 Rustic old kitchen accessories are very important elements to incorporate in your primitive kitchen design. There are various accessories to choose from that would give your space a refreshing and relaxed farmhouse-style look. While I love how fake food items can boost up the prim kitchen to create a most welcoming and inviting country kitchen design, there are so many other elements that can be added to give your kitchen an eye catching aesthetic boost. without taking away from the look. Grubby and grungy decorative pieces will add character, since primitive decor is centered around an Old Thyme, dingy, and tattered look. Simple pieces, such as jars that have been layered in a grunge mixture of cinnamon or coffee grounds and modge podge can give used jars new purpose in a tattered prim style kitchen. Coffee stained muslin, ripped at the edges to replicate wear, serves as an outstanding worn table cloth, or try adding a few aged crows or roosters to the kitchen for an added touch. Primitive kitchens will never be complete without dark colored cabinetry. Painting cabinets in dark, colors and distressing them can give your cabinets a makeover and achieve a deep-themed aesthetic while enjoying the practicality and function of a new look for your cupboard display. Paint your kitchen walls with aged, timeworn, and chipping paint designs. Nowadays, you can find customized and special blends of paints that are mixed to cater to your special request. You can also have primitive painted kitchen decors and pieces that would give a great impression of a relaxed farmhouse ambiance. Primitive kitchen décor items complement one another to give your home an instant primitive country ambiance. You need not travel to the country to experience a laid-back and relaxed haven when you can have that right in the heart of your home.